In many cases of fraud, for a variety of reasons such as embarrassment and fear, some fraud victims do not wish to report what has happened to them to either the police or to their own counsel for the purposes of bringing a civil recovery action. In other cases, persons with knowledge of fraudulent activity will only consider reporting such information as a confidential whistle blower. In cases where fraud victims do wish to take action but remain anonymous, they may wish to consider the law as it applies to confidential informants. Informer privilege has been recognized at least since The Trial of Thomas Hardy for Treason (1794), 24 St. Tr. 199, as an essential element in the investigation of crime and the protection of the public. Once informer privilege is found to exist, no exception or balancing of interests is made except “if upon the trial of a prisoner the judge should be of opinion that the disclosure of the name of the informant is necessary or right in order to show the prisoner’s innocence” (R. v. Barros, 2011 SCC 51, paragraph 28). Police rely heavily on informers. Because of its almost absolute nature, the privilege encourages other potential informers to come forward with some assurance of protection against reprisal. If there was not such an assurance, informers would be unwilling to cooperate. The obligation to protect confidential sources goes beyond a rule of evidence and is not limited to the courtroom. The police and the Court recognize that people who are available to provide information typically won’t give that information to the police unless they are protected (R. v. Barros, 2011 SCC 51, paragraph 30). Of course, not everybody who provides information to the police thereby becomes a confidential informant. In a clear case, confidentiality is explicitly sought by the informer and agreed to by the police. The privilege arises where a police officer, in the course of an investigation, guarantees protection and confidentiality to a prospective informer in exchange for useful information that would otherwise be difficult or impossible to obtain. Although preferred, the promise need not be express. It may be implicit in the circumstances. The rule gives a peace officer the power to promise his informers secrecy expressly or by implication, with a guarantee sanctioned by the law that this promise will be kept even in court. (R. v. Barros, 2011 SCC 51, paragraph 31). A claim to informer status is always open to challenge by the defence. The Crown is better able to meet that challenge if it can point to clear evidence of informer status being conferred explicitly rather than after-the-fact supposition. Keeping in mind that informer’s privilege was created and is enforced as a matter of public interest rather than contract, it might be argued that in a situation of serious potential danger, the informer privilege (or other public interest privilege) might apply even in the absence of the contract-type elements of offer and acceptance (R. v. Barros, 2011 SCC 51, paragraph 32). The duty to protect and enforce informer privilege rests on the police, the Crown, and the courts. That said, an accused and his representatives are permitted to investigate with a view to identifying an informant for a lawful purpose and by lawful means. From the perspective of an accused, discovery of the identity of a source, and the circumstances under which his or her information was obtained by the police, may legitimately play a role in making out a full answer and defence. This is because there have been cases where the “source” turned out to be non-existent, wholly unreliable, or had participated in an entrapment (R. v. Barros, 2011 SCC 51, paragraph 37). Whether an investigation has crossed a line into obstruction of justice must be determined on a case-by-case evaluation of the totality of circumstances, which may include the methods and purpose of the defence investigation, and the use to which any information obtained is put. If all the elements of the offence of obstruction are met, a bald assertion that the investigation furthers the mounting of a full answer and defence will not excuse otherwise unlawful conduct. (R. v. Barros, 2011 SCC 51, paragraph 41). In much the same vein, the fact that an independent investigation of a police informer is permissible (so long as it is carried out in a manner that does not cross the line into criminality) does not mean that the investigator is free to use the fruits of an investigation as he or she sees fit. Where an informant is in a position of significant danger, as is frequently the case in dealing with organized crime and drug trafficking offences, the investigation must proceed in a responsible manner with due regard to the potential of obstructing justice. Discussions with prosecutors or police officers carry particular dangers. These individuals are bound to protect the identity of informers, and efforts to elicit information they are not permitted to disclose will not be tolerated. That is to say, private investigations and other lawful activity may not be pursued by unlawful means or for an unlawful purposes (R. v. Barros, 2011 SCC 51, paragraphs 42-43). Restrictions exist with respect to the activities of a confidential informant; they can not retain their confidential status if they engage in any activity that could be regarded as agency work for the police (R. v. McCormack, 2009 CanLII 76382, paragraph 8). For example, Where the police make the offer of confidentiality with the intent that the informant simply provide observations, but then use that same informant to recruit others as agents and facilitate the placement of an undercover officer, the Courts may view the informant as an agent and require that the person’s identity be disclosed. (R. v. McCormack, 2009 CanLII 76382, paragraph 16). From the foregoing, it is apparent that reporting a fraud to police as a confidential informant requires various considerations. 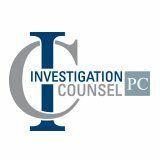 For further information on reporting a fraud matter to police confidentially, or acting as a whistleblower within your company, please feel open to contacting us at www.investigationcounsel.com.